Glassware with paintings - it salways relevant. Therefore, if you want to diversify the range of your store, pay attention to our models, decorated with artistic paintings: pitchers, glasses, glasses, glasses and stuff. 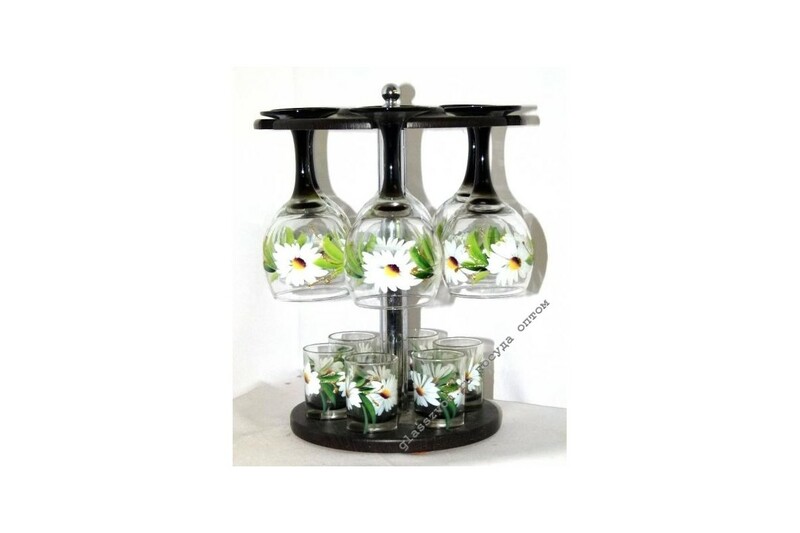 For example, a set of two "Camomiles", consisting of wine glasses and glasses. 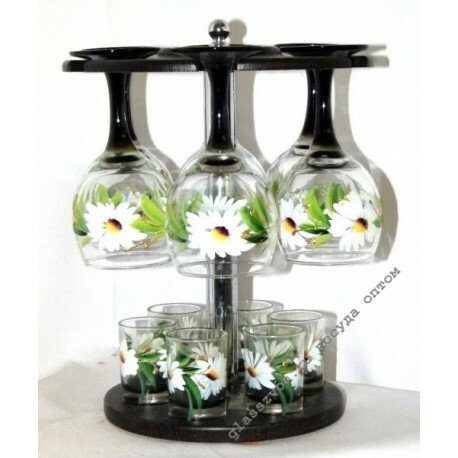 An excellent set of strong glass is decorated with a simple classic pattern - flowers. Such dishes are popular with many customers who prefer something "cozy and simple". That is, the design of "Chamomile" is aimed at a specific target audience, which often visits the china stores. Also we have more refined and sophisticated models, so in our catalog you will find utensils for different types of customers, which will increase your sales level and will bring a stable profit.